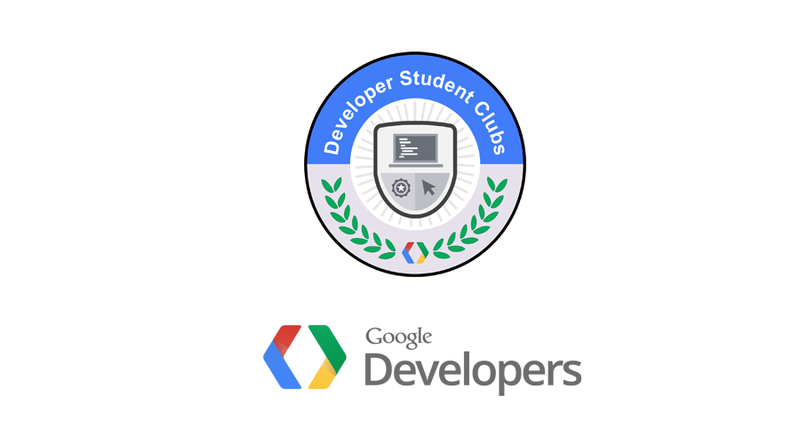 DSC or Developer Student Clubs is a Google Developers program for university students to broaden the access to world-class technology curricula and giving the large Indian student community a head start on latest technologies like Machine Learning, Artificial Intelligence and Mobile & Web Development. It is open to any student, ranging from novice developers who are just starting to advanced developers who want to further their skills. It is intended to be a space for students to learn and collaborate as they solve real-world problems. DSC VIT is a branch of that community in VIT Vellore that aims at providing a platform for students with a hunger for innovation and having a can-do attitude. In a desire to introduce creativity into technology, designers at DSC collaborate with the developers and managers to bring out effective executions. Students here have worked on real-time projects that use Web dev, ML, Blockchains, IOT and much more making us one of the best technical chapters of VIT. We conducted “Devtalks”, the biggest technical convention in VIT with esteemed speakers from various national and international tech companies like Google, Agora, LBRY, SlangLabs to name a few. It was attended by more than 1000 curious and interactive students. Devfest, Asia’s largest college level hackathon is also one of the feathers in our cap, conducting an event as big as Devfest is always something to be proud of. Our first Devfest was organised in 2015 and over the years more than 1000 participants have attended it. These participants were carefully selected from over 5000 applicants. We regularly organise hands-on workshops also known as Study Jams, on cutting-edge technologies. Many students learn a lot from the content delivered in these and many regard them as their first steps into the technical world. We also encourage girls to excel in the technical world through our association with Women Techmakers, VIT and we collaborate with them to conduct events and hackathons such as Women Techies. Sachit Mishra, one of the Googlers who came from Google HQ, California took a hands-on session about “Actions on Google” at DevTalks 2018. He told us that companies like Google place immense importance to one’s contribution to the community. DSC VIT is one of such communities that will give you the platform to learn, grow and give back. DSC VIT boasts of a very diverse community with members from CSE, ECE and even from Mechanical branches working together and developing themselves for the future. Here at DSC VIT, you get to work with a remarkably dedicated group of developers, make projects, organise workshops, represent us in hackathons and much more. We encourage every member regardless of his/her domain of enrolment to work on projects and learn to develop new skills. Our teams have been securing top positions in various hackathon across the country and even in international hackathons. You also get to interact with industry experts from Google who are constantly in touch with us and guide us. We are always looking to improve our team and hence we have our registrations open for Technical, Management, and Design domain. We prefer people who are adaptable enough to work as a part of a team, are open to learning and committed to excellence in the work they do. Here is a more detailed description of each individual domain. Technical: This community prides itself in its capabilities to win hackathons, make projects that others only dream of. We expect the applicant to have a thorough knowledge of domain they want to be recruited in. You will be working on various projects, take part in hackathons, and conducting workshops. To apply for recruitments, visit our recruitment website here.